Simon Cowell has spoken about US TV network Fox’s decision not to renew the American version of his talent show The X Factor. 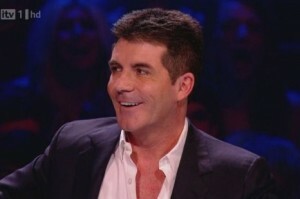 The series ran for three seasons amid struggling ratings and terrible reviews, and when Cowell decided to return to the UK version, bosses decided not to continue without him. “They would have taken the American show, but they wouldn’t take it without me, so we sort of booted them off, I suppose. The father-to-be also confirmed that Cheryl Cole has been offered a seat on the judging panel of the UK show, four years after her last appearance.